What is Forex trading and where to start? I often get asked by friends and colleague’s what I have been up to and I reply “forex trading”. With a confused look on their faces and return, “what is Forex” . I reply with “Currency trading”. Then I get a reply “ohhh I thought you were talking about trading beer or something and didn’t know what you were on about”?!?. ( here in Australia we have a brand of beer XXXX Gold). With jokes aside it brings me to the word “Forex” which is an acronym for foreign exchange . What describes Forex or foreign exchange is simultaneously, the buying of one currency and sale of another currency or, the selling of one currency and the buying of another currency between two parties. Today the Forex market is the largest and only global market in the world. Over 5.3 trillion US dollars traded every day. Currencies have been traded for hundreds of years, and while trade between sovereign nations exist currencies will be traded for the sale of goods and services. Until recently trading currencies was only reserved for banks, large corporations and central banks to conduct business transactions and speculate. But, all has changed and become open to the public to also participate in. Forex trading is a decentralized market that can be accessed for real time price and information. No body owns the forex market and there is no holding place. Currencies are exchanged and prices are quoted by market makers with a bid and offer. Only banks determine what price they will sell or buy a currency and brokers act as an intermediary to bring buyers and sellers together. More information about the whole process, what is forex and how the market works will be available in a future course. Currencies are always traded in pairs and can be either bought or sold, for example AUD/USD. A trader can buy Australian dollars against US dollars or sell Australian dollars against US dollars. When ever you buy one currency the other currency is being simultaneously sold. The currency to the left (AUD) is known and the base currency and the currency to the right is the terms currency. This case is known as a indirect quote ( more on this in an up and coming course). The value of a currency amongst other things is determined by supply and demand and almost impossible to be manipulated. The current price is a reflection of the true value. Not only most of us want to know what is Forex but why trade Forex in the first place. Forex trading has become very popular for a number of reasons. 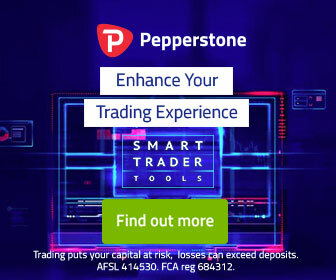 In comparison with stocks Forex is very flexible and been made easy by brokers to download software and trading platforms for free with ready available technical tools and indicators. The most attractive and enticing aspect of Forex trading is the ability to have a very high return on your investment. With correct training its quite possible to make 10 to 20% profit per month. Some highly skilled long time traders can make upwards of 100% per month. When comparing this to other forms of investing there is almost no comparison. For an example on average Australian shares will give a return of 10% over a 10 year period. But just bear in mind with high return comes high risk and Forex traders are regarded as the highest skilled traders of all. Another good reason to trade Forex is because the market is open 24hrs per day 6 days per week. Depending on your time zone will have an effect on the times you can comfortably trade. South East Asia is one of the best time zones to trade. The Asian time zone enables you to trade the Asian, European and, American opens in normal working hours. In some parts of the world traders need to work though the night. I am in Central Australia and although the time zone is not perfect I am able to trade all sessions before daylight savings season begins. A lot of people look to Forex as a lifestyle change and I am one of them 😉 but I can tell you its not easy. To start off you need encouragement determination and a lot of study, and have to love doing it. By all means don’t make that a deterrent as anyone can learn Forex trading. Its a job that has virtually no start up or running costs you don’t need a UNI degree or some kind of certificate. However the accessibility to trade Forex has endeavored to set new traders to fail and some fail miserably. This can be avoided with having first the right mindset some guidance, some education and of course practicing on a demo account. Please read this post on retail Forex profitability to get a realistic idea of what Forex traders can actually make.